Do you need a bigger file? The file available on this site is 1024 x 968 px. To obtain an alternate file type or higher resolution copy, please contact the owning institution. 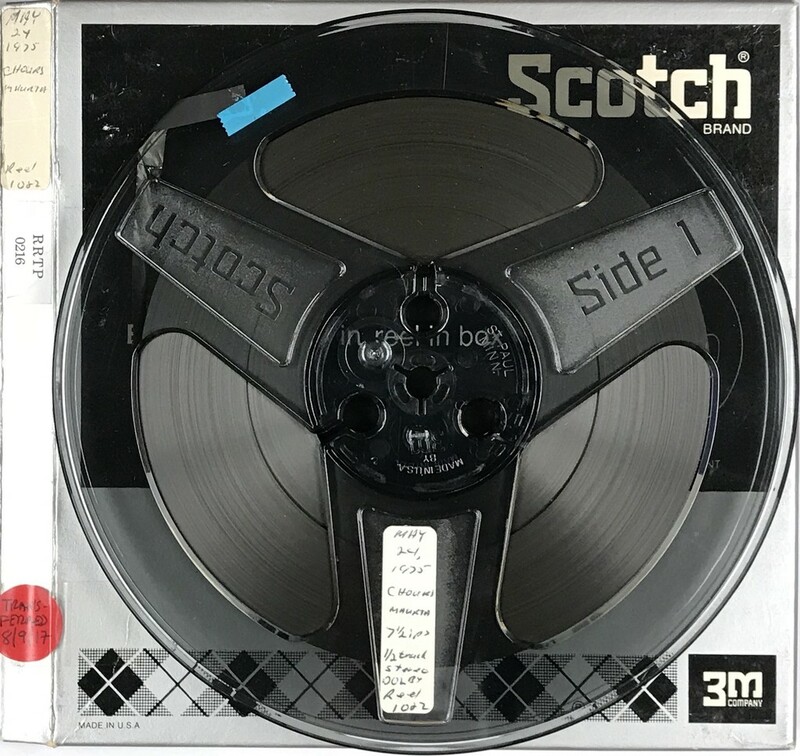 Scope/Content: Audio recording of UCI Choir concert recorded at the University of California Irvine Fine Arts Concert Hall on Saturday, May 24, 1975. Scope/Content: Composition on a plainsong / John Dunstable -- Nuper rosarum flores -- Alma redemptoris mater / Guillaume Dufay -- Fantasia -- Canon / Francesco da Milano -- Planxit autem David / Josquin des Pres -- Jesu, meine Freude / J.S. Bach -- Psalm 90 / Charles Ives. Performers: Barbara Houston, soprano (2nd and 3rd works) ; Deborah Struble, Elizabeth Gingerich, Georgina Villa, Pier Hurd, Lisa Stidham, Kevin Golden, Dennis Fox, Craig Mitchell, Terri Cannicott, soloists (7th work) ; UCI University Chorus, Maurice Allard, director ; Margaret Murata, conductor. Funding: Digital transfer of this recording courtesy of the family of Michael Proudfoot. Duration: 51:40, 99.2 MB in two parts.